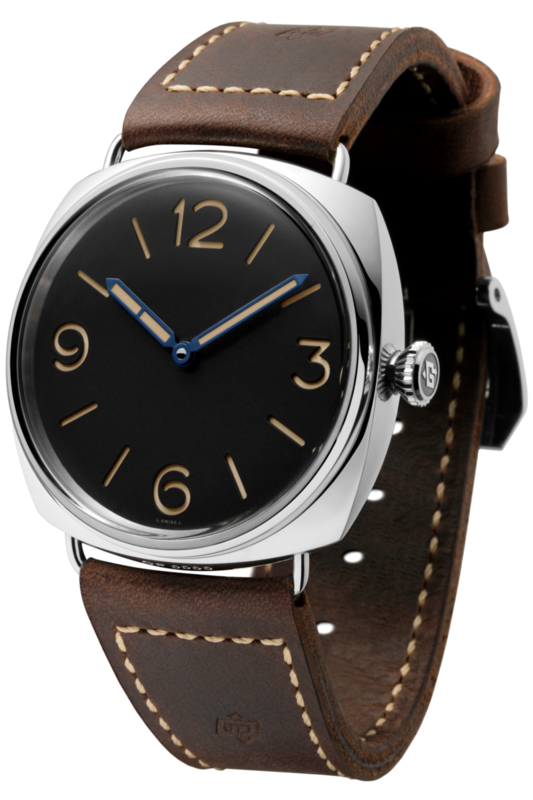 Panerai recently announced the release of this fab new limited edition from its retro-inspired Radiomir collection, which has been produced in conjunction with the annual Design Miami showcase. 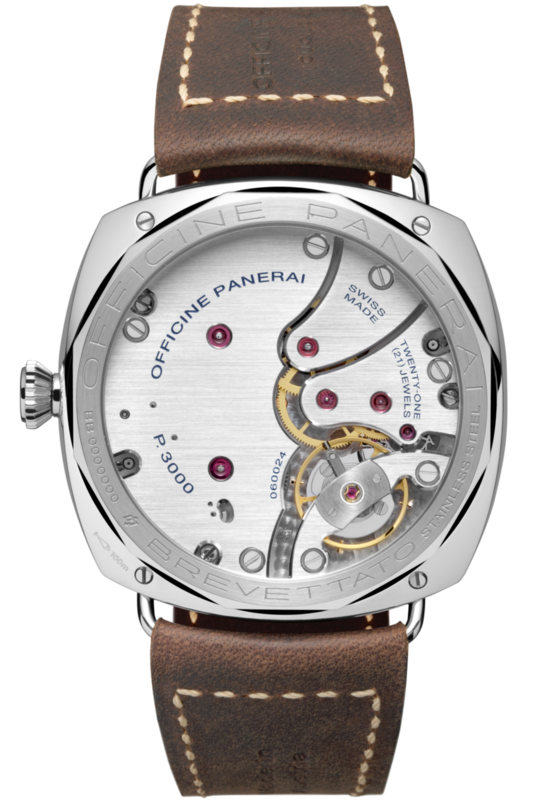 With a run of only 1,000 numbered pieces, the Radiomir 3 Days Acciaio hand winder is presented in a generously sized 47mm case of polished stainless steel, with wire lugs and a tan calfskin strap, and features only the very essentials of both time and the Panerai design codes, which means it can confidently get away without the need for obvious branding. 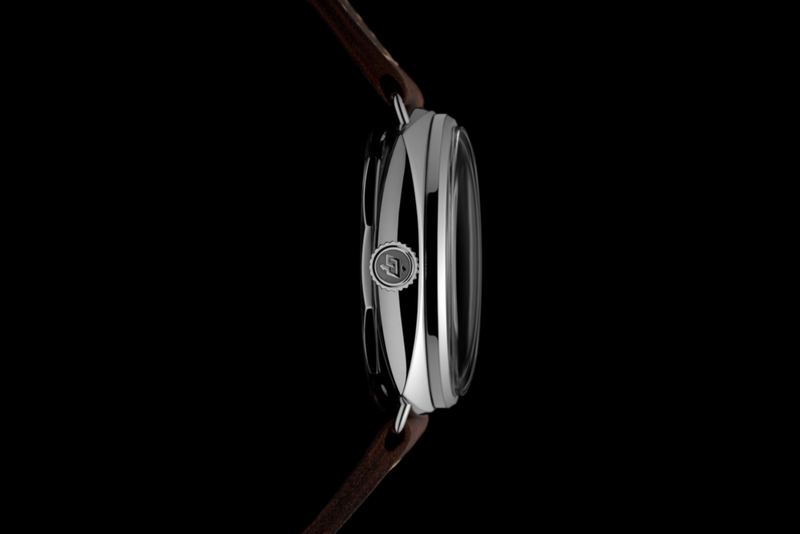 If you can recognise a Panerai, you'll instinctively know what it is. Maybe it's because it's just so unusual, but there's definitely something very appealing about a barren dial which has no text or logo on it, no distractions like a date window or even a seconds hand, and in this case, complementing the unfussy flowing contours of the off-cushion profile of the case, it certainly adds to the overall sense of purity of the watch. Whatever it is, it looks great. While it might be bereft of brand insignia, the sandwich dial is classic Panerai, with its black upper punctuated by the incised hour markers and four large numerals which appear beige in daylight, but transform to a vivid green glow in low light environments. 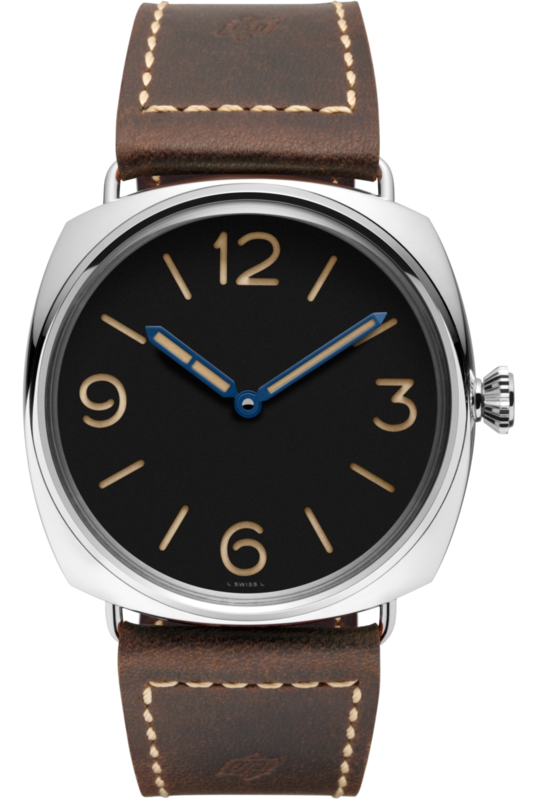 Likewise the blued steel hands too are coated with Super-LumiNova so legibility is never an issue, although whilst practicality is always important, this Radiomir 3 Days Acciaio is equally about the aesthetics; about the way it struts its stuff. 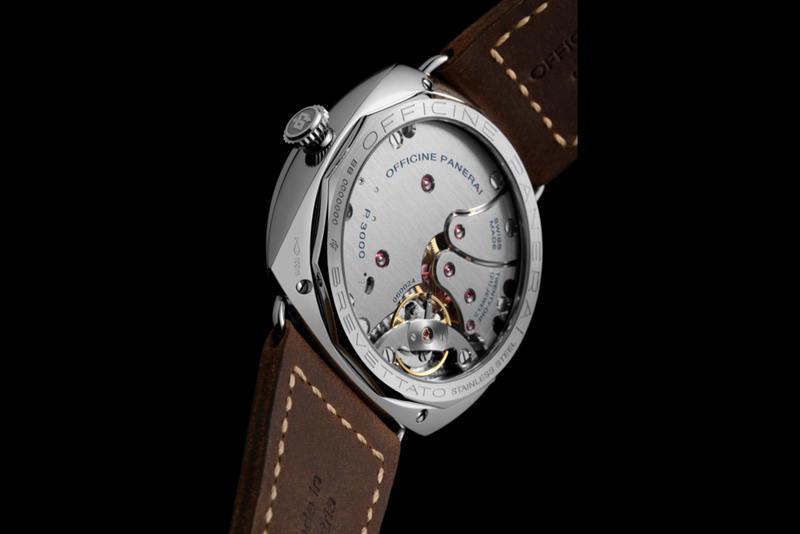 Inside, the P3000 hand winding calibre is manufactured in house, and through the sapphire caseback, the silvery brushed surface of the plate and bridges are discretely decorated, but still very nicely done. A pair of barrels deliver energy for three days, maintaining 21'600vph at the large balance.